Cross trainers are an excellent way to fit and healthy in the comfort of your own home. The problem with buying one is that there are a lot of different brands and models to choose from. In addition not all of them represent good value for money. 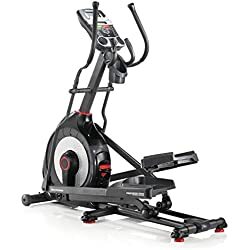 In this guide we will cover all the information that you need to know before buying an elliptical cross trainer to help you get the best one for your needs and budget. 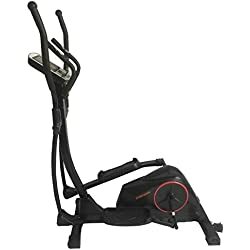 Furthermore we will be bringing you the top 5 best elliptical cross trainer reviews Australia has to offer, featuring all of the best sellers and the good and bad points about each model. Before buying a cross trainer there are a few things worth considering, especially if you are to get the most fopr your money. 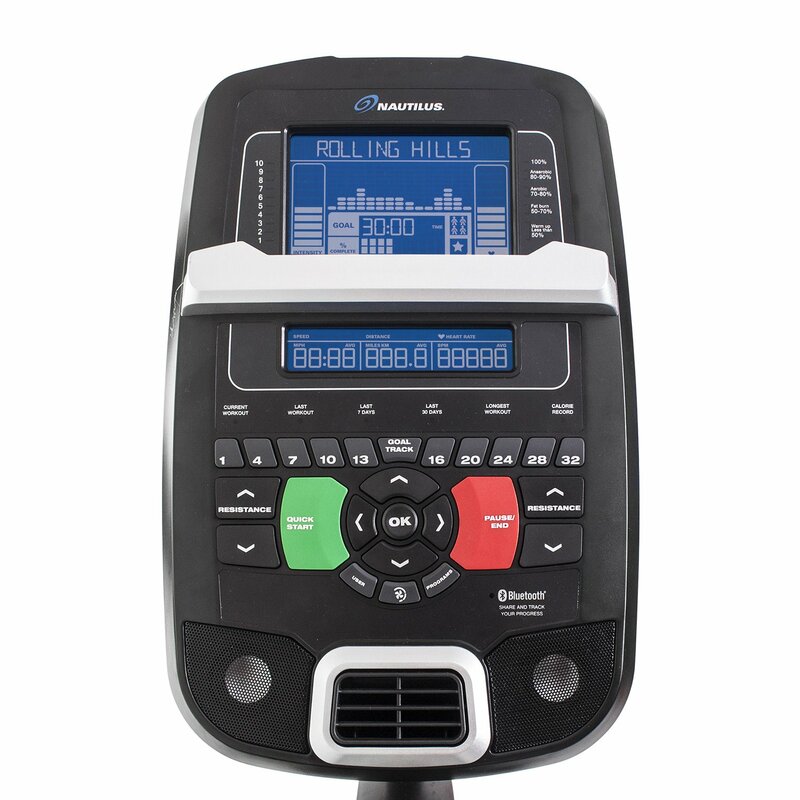 Cross trainers come with many features and specifications. These change from model to model with some, usually the more expensive ones, having better features. 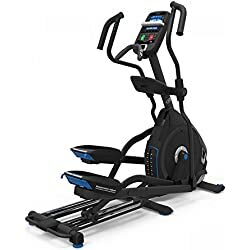 However there are a few very good cheap elliptical cross trainers available to buy, you just have to know what to look out for! The resistance is an important purchasing consideration as it determines the intensity of the workout that a model has to offer. 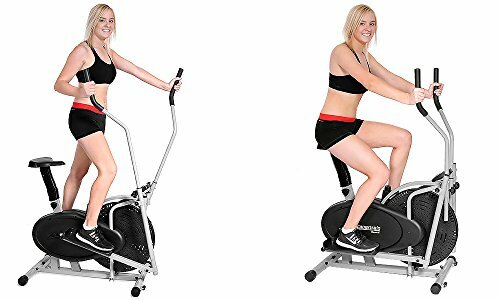 Budget elliptical trainers will tend to have up to 8 levels of resistance and give the user a light to moderate exercise workout and are best suited to beginners. With the more expensive models you can expect up 20 levels of resistance varying from light to very hard in intensity. 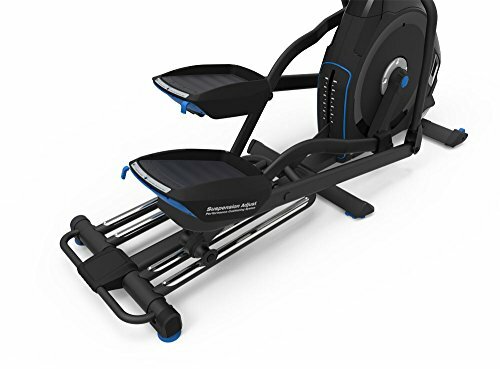 These type of cross trainers are suitable for beginners and experienced users or a beginner looking to progress as time goes. The flywheel is measured in kilograms and plays an important part in the terms of resistance offered. Generally speaking the heavier the flywheel the better. 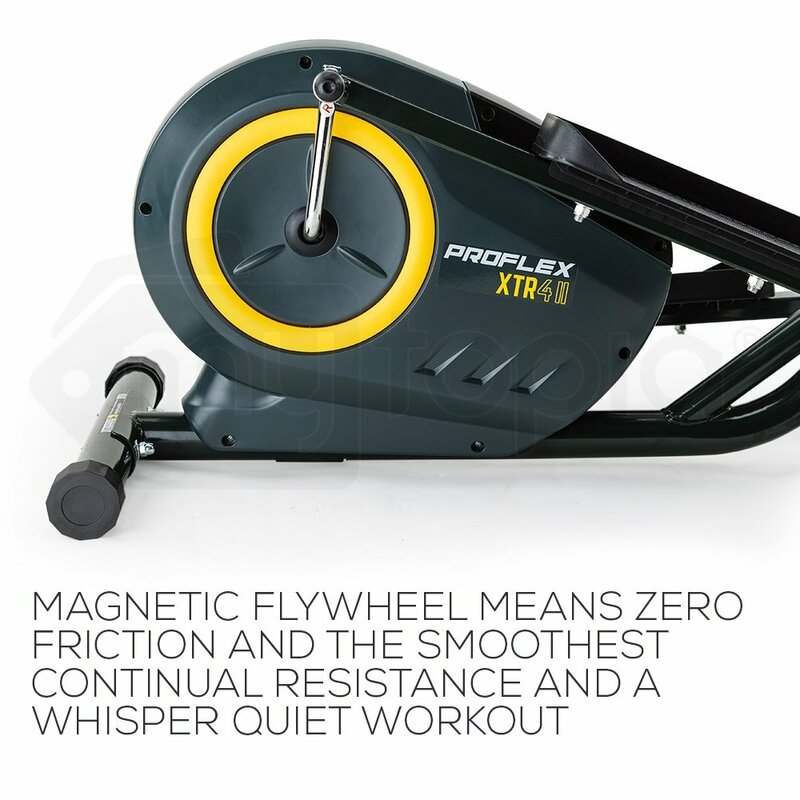 With a friction based resistance system the pads come into contact with the flywheel and cause wear and tear over time this is why we recommend you avoid these and stick with a magnetic resistance cross trainer as there is no maintainance involved. The stride lengthe refers to the distance between the rear of your front foot and the front of your rear foot as you workout. 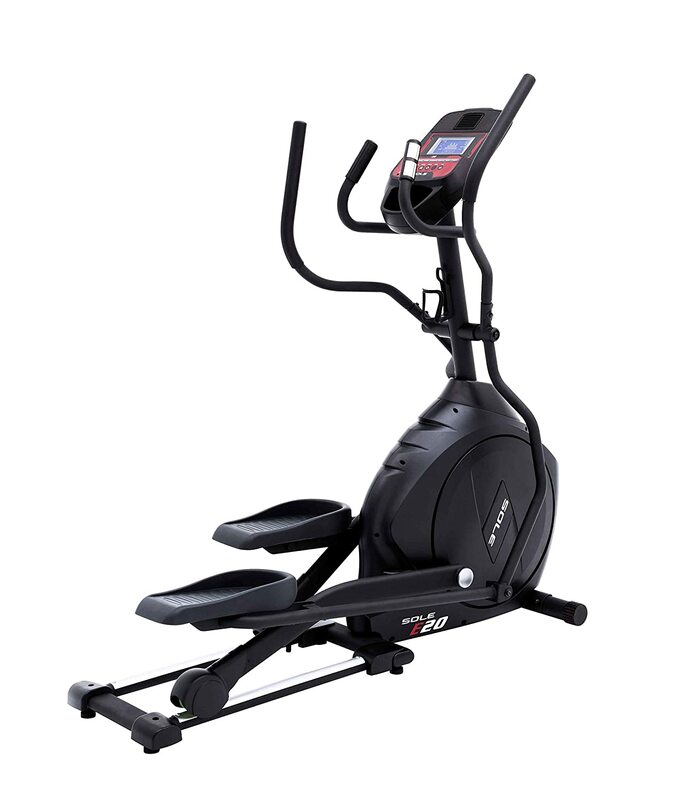 When buying a cross trainer you will find that the more expensive models have a bigger stride length, with some even been adjustable, making it easy to find the best stride length for your height. The stride length effects your movement while working out. When walking at a slow pace you only need to take a short stride, however, when you speed up a bit you will find that your stride length increases. Basically a cross trainer with a short stride length will restrict your overall movement and become very annoying. The monitor functions allow the user to keep track of vital workout data. This can be things such as speed, time, distance, pulse,or calories. The more monitor functions a model has the easier it is to keep track of any progress made towards reaching those fitness goals. 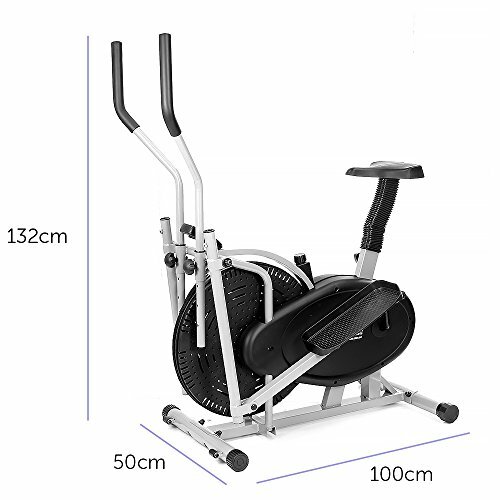 Befor buying a cross trainer you should always check the dimensions to see if you have enough space to exercise comfortably. Most manufacturers will have the dimensions somewhere within the product description or specifications. The maximum user weight is an important purchasing consideration as it gives a very good indication of how well-built a model actually is. 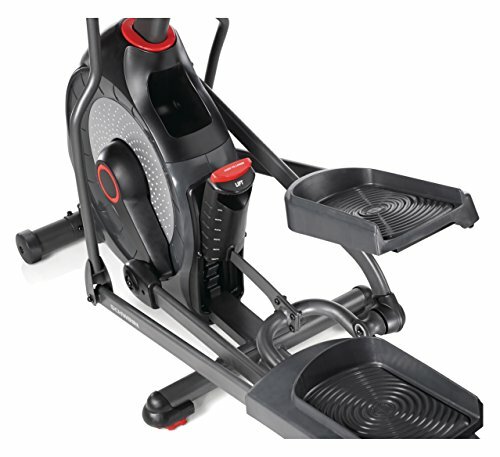 In addition the heavier the maximum user weight is the more robust and sturdy a cross trainer tends to be aswell. Generally speaking anything above 100 Kg should be enough for the majority of people. Whenever buying any piece of home fitness equipment it’s always wise to check the warranty. You will find that the better a product is the longer the warranty will be. 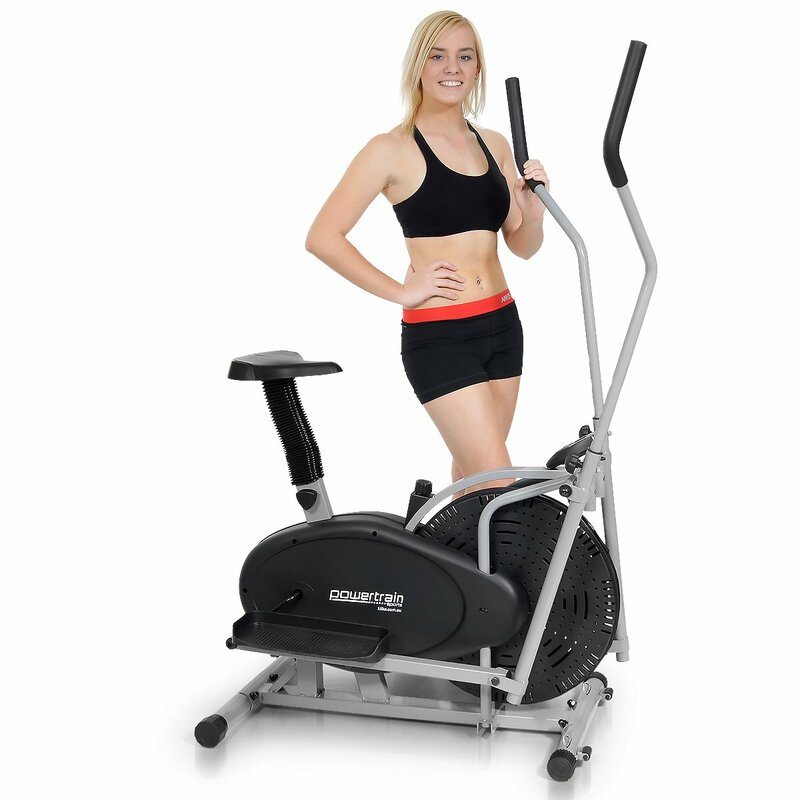 Consequently cheap elliptical cross trainers will usually have a warranty of 1 year and the more expensive ones can go anything up to 5 years plus. 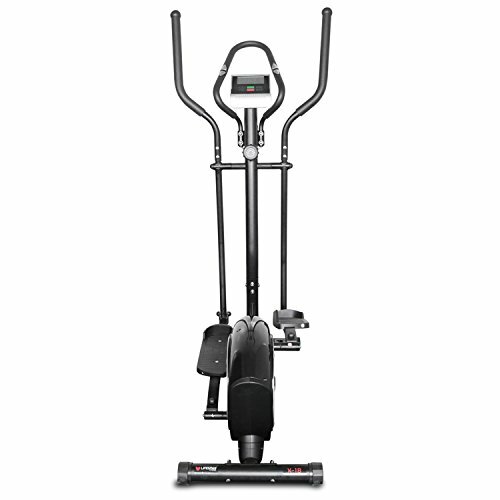 Powertrain are a brand well-known for making good quality and affordable home exercise equipment and the Powertrain 2 in 1 elliptical cross trainer is a prime example. In addition to been a cross trainer there is also the exercise bike option that comes with it. 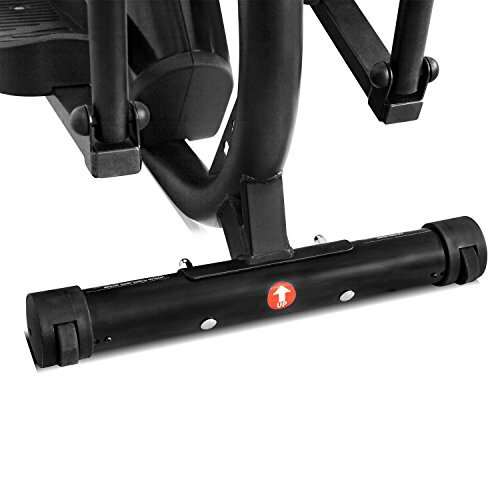 Due to this combination this is a great value product and it offers versatility in terms of exercise options. 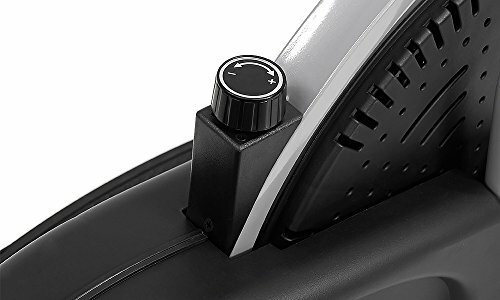 Due to this been a fairly cheap elliptical trainer it is obviously not the best, however, it does have some positive features. First of all the resistance is variable, which means users will get a decent workout from this model. Another positive feature is the reverse pedal system. Pedaling backwards engages muscle groups that get neglected when pedaling forward, this is a feature that most cheaper models lack. The LCD is simple to navigate and only requires a simple click of a button to track your time, distance and calories burned. 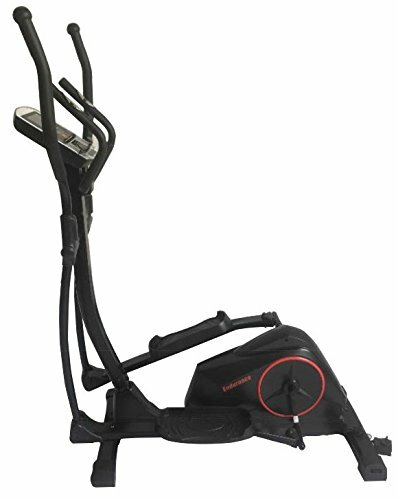 Finally, with a max user weight of 115 Kg this is a sturdy enough cross trainer for most people. 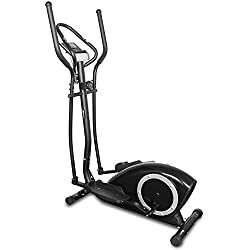 With good customer feedback and some features that you just wont get with similar priced elliptical trainers the Powertrain 2 in 1 elliptical is a good beginners model and wrth taking a look at if you are on a limited budget. Another good feature is the addition of resistance bands to the front legs. With a cross trainer, exercise bike and resistance bands there is a wide variety of workouts to be had. 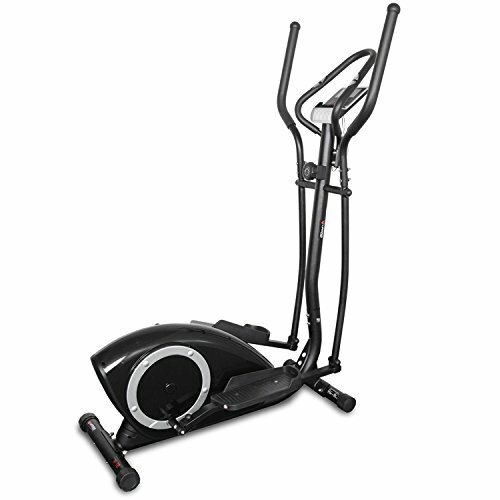 The ProFlex XTR4 II Elliptical Cross Trainer is a step up in terms of quality from our previous featured model. As with all the best models it features a magnetic resistance system. The benefits of magnetic resistance are that it causes less wear and tear on the flywheel components. This is due to the fact that there is no contact unlike with friction based resistance. Another positive to magnetic resistance is that it is virtually silent when in use. In addition it also offers a smoother motion. In total there are 8 levels of resistance and at the top end it offers a good workout. The LCD has five monitor functions which are speed, time, distance, heart rate and calories burned. Simple to navigate it should only take a few minutes to get to grips with. 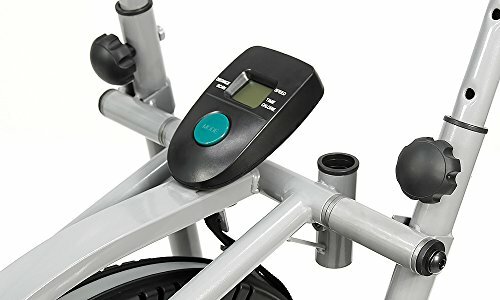 Built into the handlebars are pulse sensors for giving the user an accurate heart-rate measurement, this is a feature that usually comes with higher priced elliptical trainer machines. With a maximum use weight of 100 Kg this is a fairly robust model. Customer feedback hints at it also been sturdy when in use. 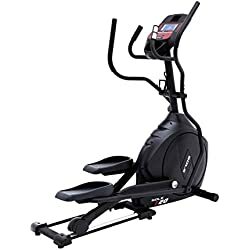 The Proflex XTR4 II Elliptical Cross Trainer is a very good budget model with some features that you normally only get with more expensive models. 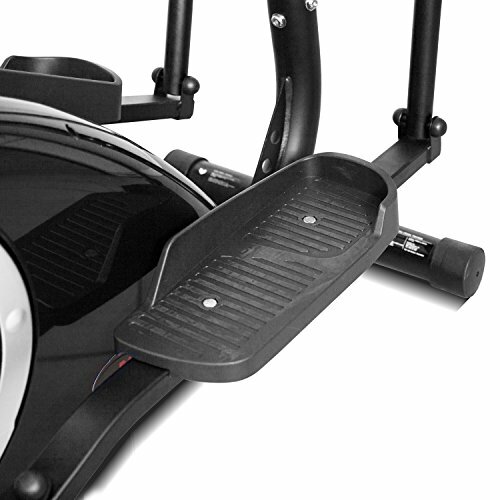 With some good specifications and customer feedback been generally overall very positive this model comes highly recommended for those looking for a good all round budget elliptical trainer. 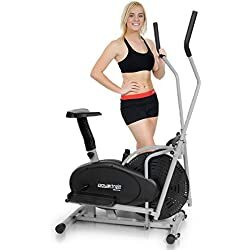 The Endurance Elliptical Trainer is the perfect introductory model as it comes in at a reasonable price and avoids the low-quality of cheaper models at the same time as having features associted with more expensive models. Featuring a computerised magnetic resistance system the user can adjust the resistance by the simple push of a button on the LCD display. 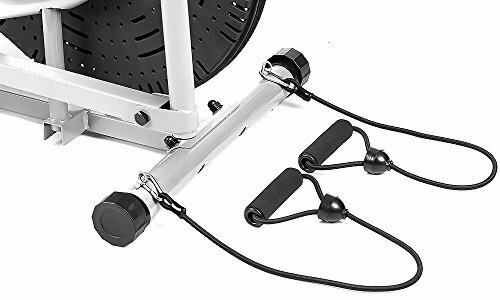 In total there are 16 levels of resistance with the top setting providing a fairly hard workout, making this a good cross trainer for beginners and intermediate users. The LCD has 18 programs which offer a variety of different workout options these include fat loss, to interval training and HITT sessions. A positive to having a good selection of programs is that it is less likely that you will get bored while working out, as they say, variety is the spice of the life. 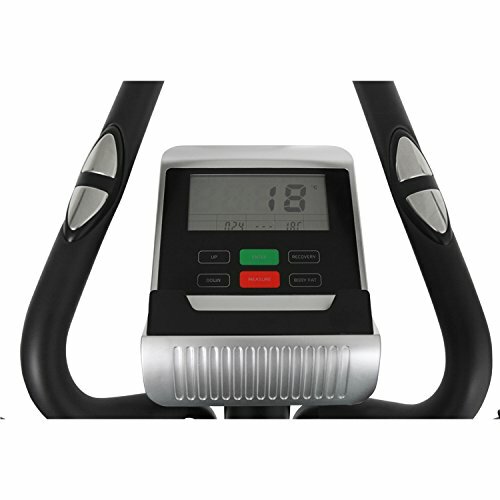 In addition to the 18 programs there are seven monitor functions which are speed, time, distance, pulse, calories, watts and RPM. In terms of overall build quality the maximum user weight is 150 Kg which is more than enough. 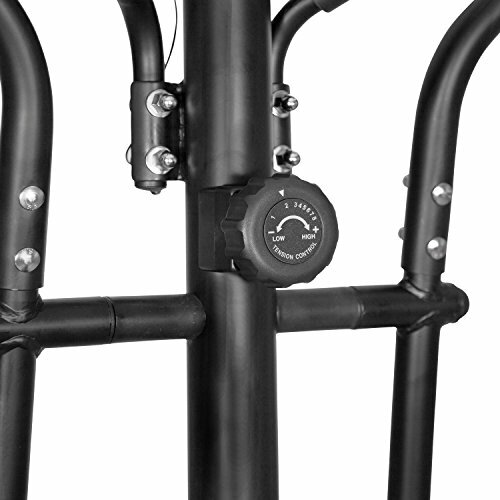 The frame is heavy-duty and powdercoated making it rustproof. With these two features alone the durability of this cross trainer is a given. For the price the Endurance Elliptical Trainer offers great value for money. 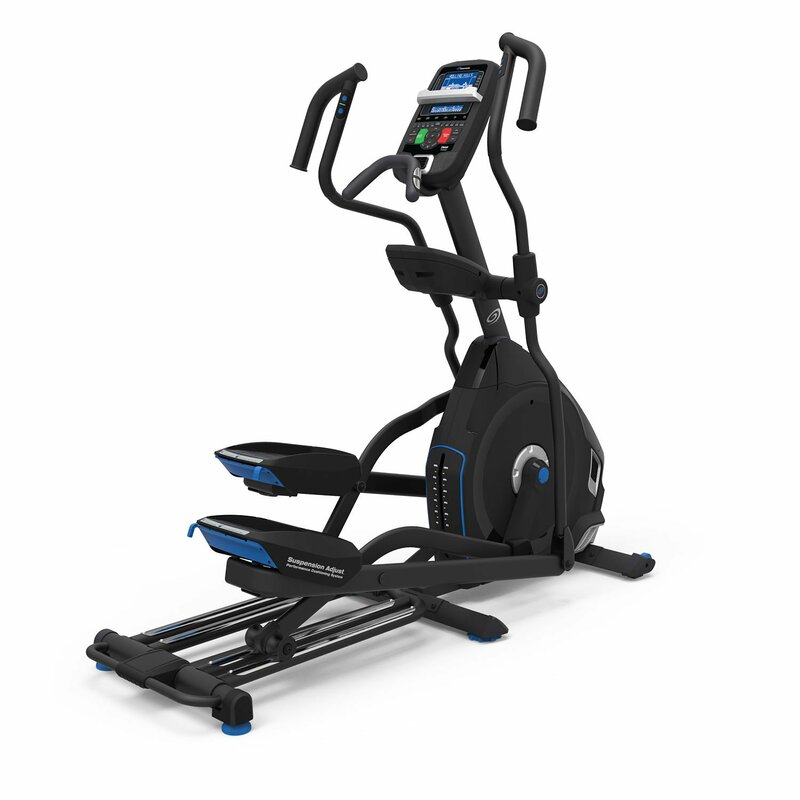 With many features that you wouldn’t normally get with a cross trainer at this price it is easy to see why previous buyers speak highly of it. 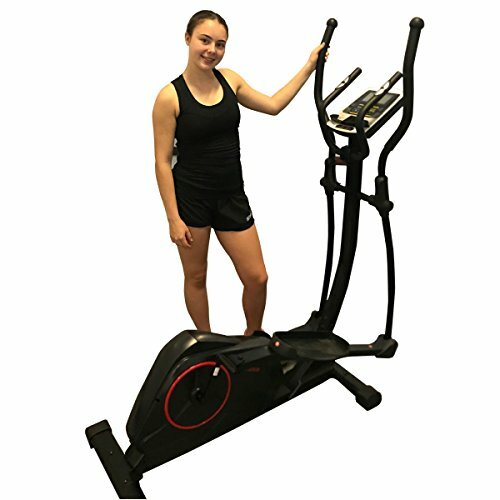 If you are seeking a cross trainer machine of good quality at a reasonable price then this could be the one. 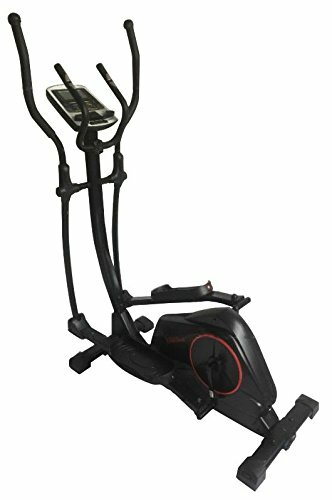 16 LEVELS OF AUTOMATIC ADJUSTABLE RESISTANCE- The Automatic Resistance system on this Elite Model uses a high quality simplelectric motor that allows you to change your workout by pressing the button on the touch screen to increase or decrease the intensity level of your workout - its that easy. 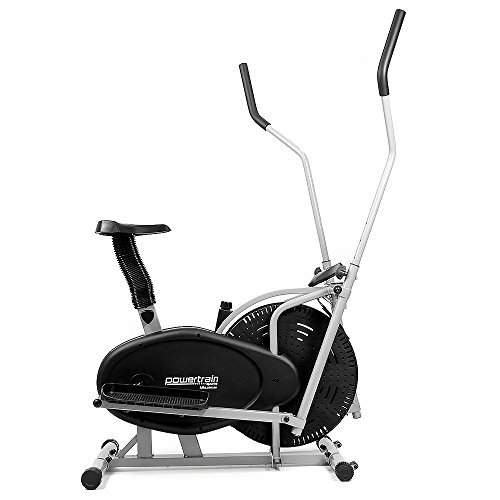 The Schwinn brand are known all over the world for their high-quality home exercise machines. Their cross trainers are regarded as some of the very best that money can buy. 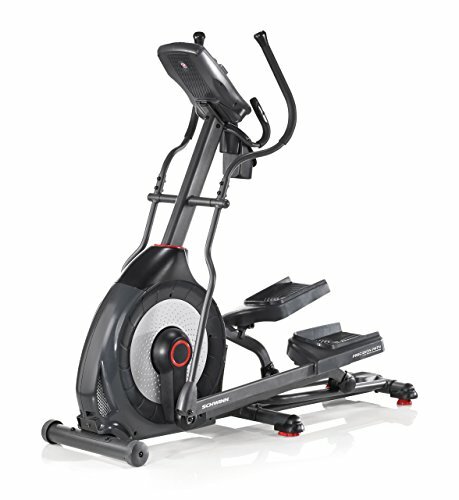 The Schwinn 430i Elliptical Cross Trainer is a top of the range model that comes with some excellent customer feedback. With 2o levels of resistance varying from light to very hard this is a good model for multiple users of different fitness levels. Due to this reason there are 2 user profiles for tracking individual workouts. 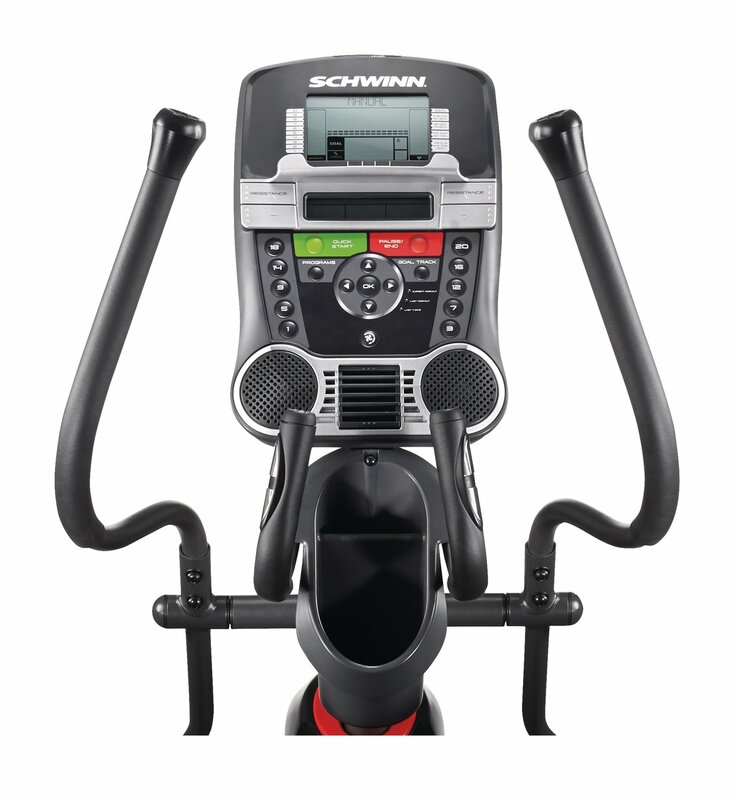 Speaking of workouts there are 22 programs with the Schwinn 430i Cross trainer providing a good range of exercise workouts. These programs include manual mode, two fitness tests, nine profile programs and eight heart rate controlled workouts. The LCD is noticeably better than any of the previous models featured in our cross trainer reviews. 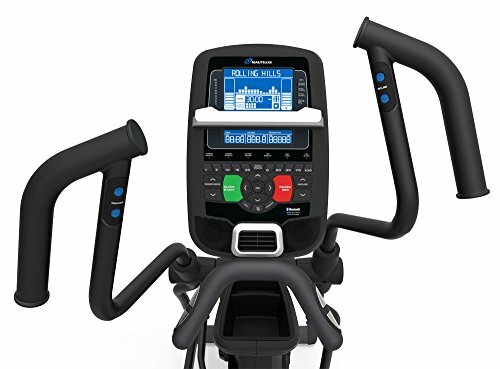 Due to this being a top of the range model there are a host of features that come with the Schwinn 430i that you won’t get with cheaper cross trainers. These include USB connection for playing your favourite music through the built-in speakers, which are surprisingly quite good in quality. Another positive is the incline feature which goes a long way to providing a hard workout. The maximum incline is 10 degrees which isn’t the most, but still a reasonable amount. Other features include a fan and a water bottle holder. Monitor Functions: Time, speed, distance, pulse, RPM, calories, intensity level, goal achievement. If it’s an effective full-body aerobic workout that you are looking for then the Schwinn 430i provides just that. With a wide range of programs and an incline option there is plenty to keep you entertained. For added motivation the USB connection and speakers go a long way to helping you achieve those fitness goals. 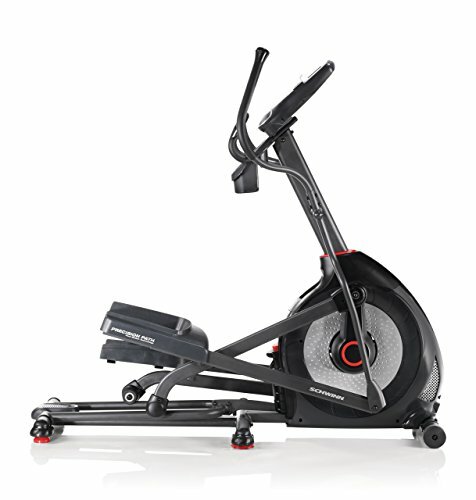 There is no denying that this is a top model and up there with the best home cross trainers Australia has to offer. 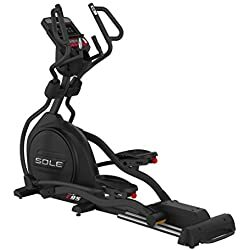 Sole are one of the best elliptical trainer brands making only top of the range models with an excellent range of features and specifications. 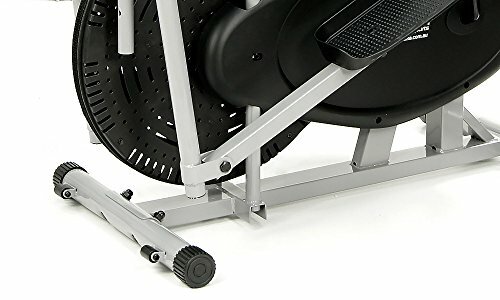 The Sole E20 is one of their cheaper elliptical trainers and it is still better than the majority of other models you can buy. With 20 levels of resistance and a 8.5 Kg flywheel there is certainly a tough workout to be had with the E20. Furthermore, the incline of 30 degrees, on the maximum setting, adds another level to the limits this machine will push you to. The LCD is large enough to give clear workout data and shows the following readouts, time, speed, distance, pulse, RPM, calories, intensity level and goal achievement. In total there are 19 exercise programs built-in these include 10 manual, 5 preset training programs, 2 user programs and 2 heart rate control. Additional features include MP3 and Apple device connectivity for playing music while exercising. 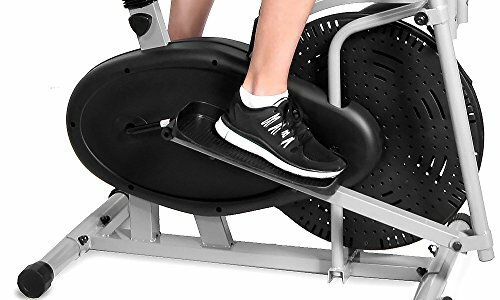 The Sole brand know a thing or two about making high-quality elliptical trainers and you can’t go wrong when investing in any of the cross trainers. 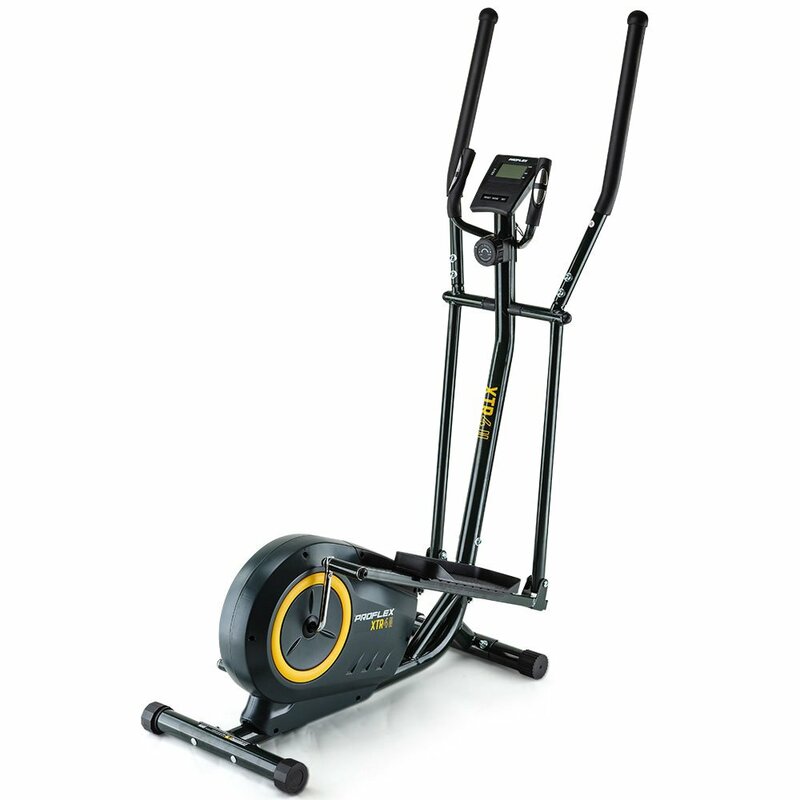 The Sole E20 is one of their cheaper option and in our opinion is the best value cross trainer in Australia today. When compared to other models of a similar price you just don’t get as much for your money as you do with the E20. The Nautilus brand have been making some of the very best cross trainers available for some time. 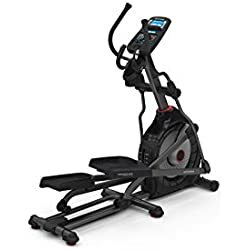 The Nautilus E628 Elliptical Cross Trainer is by far the best model in our reviews and is pretty much of gym quality and would make a perfect addition to any home gym. 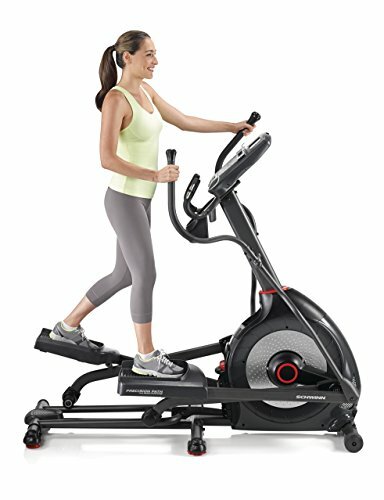 A solid and sturdy elliptical, it features a comfortable 22″ stride, a powerful yet quiet motor and 25 resistance levels. 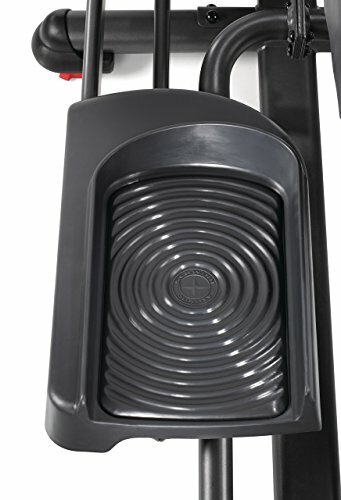 There’s also a 0-15% incline on offer for even more workout versatility. For comfort, it comes with Nautilus Suspension AdjustT Performance Cushioning. This reduces any stress on the joints, not that a cross trainer puts much stress on them in the first place. There are 2 LCD windows to monitor workout stats. With 29 programmes there is plenty to keep users busy, these include intervals, weight management, challenges, custom and HR training. Track your heart rate via contact and telemetry monitors, with chest strap included and allow the Bluetooth smart connectivity to sync your data with Nautilusr ConnectT, the Nautilusr TrainerT App, RunSocial, My FitnessPal and other Under Armour Connected Fitness Apps. With a maximum user weight of 158 Kg buyers can be certain they are getting a very robust model that will stand the test of time. With a 10 year frame warranty that alone should explain how good the Nautilus E628 actually is. Extra features include awater bottle holder, media rack, 3-speed cooling fan, USB charging and transport wheels. 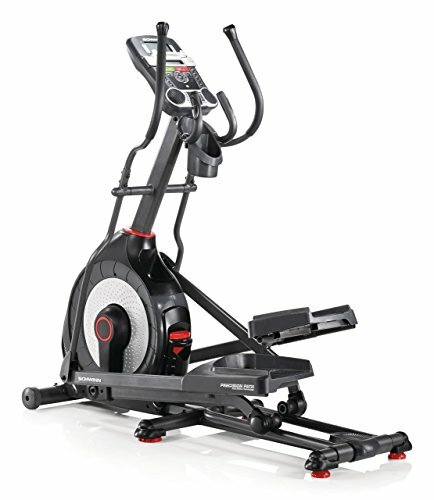 There is no doubt about it the Nautilis E628 is one of the very best elliptical cross trainers Australia has to offer. With a host of features and some very good specifications you would be hard pressed to find a better model. 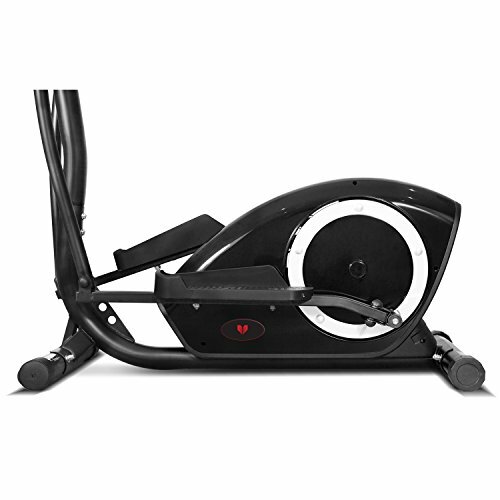 Although there are a few other very good cross trainers available to buy, not many of them can compare to the Nautilus E628 in terms of overall quality. As you can see there are some very good cross trainers available in Australia. 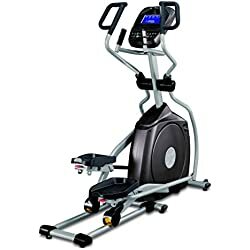 In our Elliptical cross trainer reviews we have included models for all budgets and selected the ones that provide the best value for money. If you have read our buyers guide there should be no problem with buying the best model to suit your budget and needs.